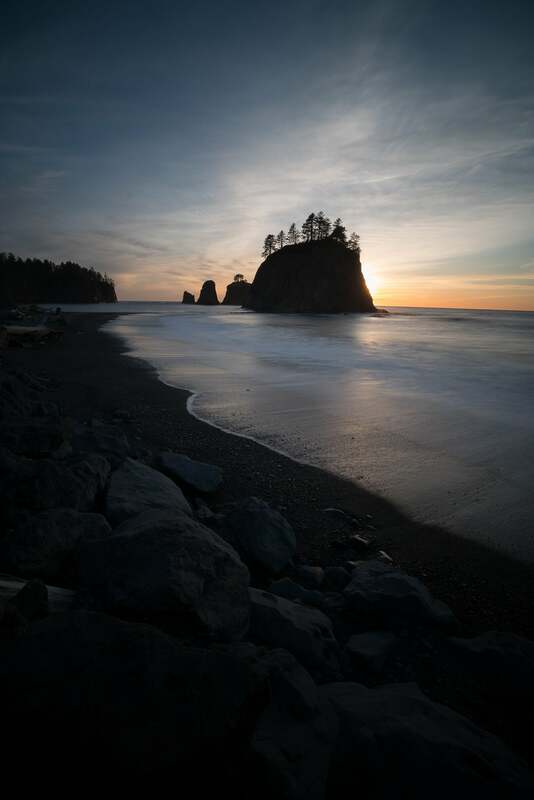 Since the beginning of photography, photographers have struggled with capturing the full dynamic range of an image from bright sky to shadowed foreground. The new PlayMemories Digital Filter camera app gives Sony shooters a new level of control over these kinds of challenging images right at the point of capture. 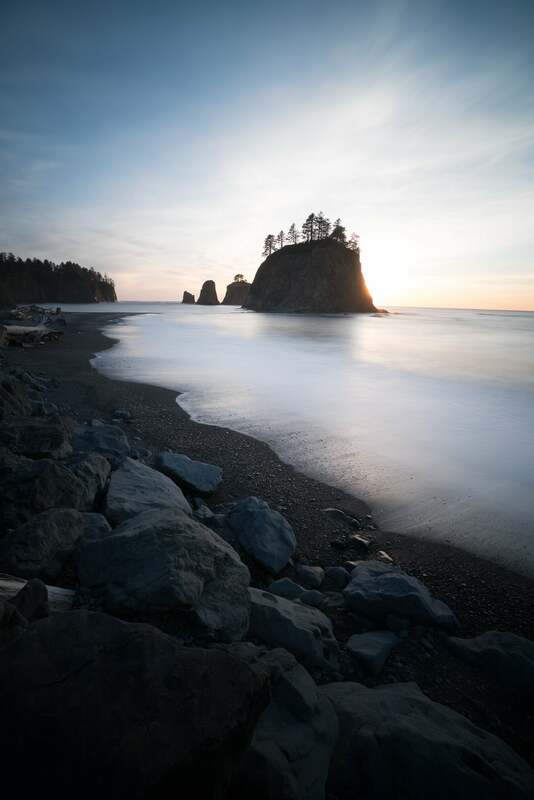 After seeing his posts using the Sky HDR camera app on Instagram, Sony reached out to landscape photographer Mahesh Thapa to get his input and feedback for the app that would ultimately become Digital Filter. Now that Digital Filter is a reality, we checked in with Mahesh to get a look at how the new app works. Alpha Universe: As a landscape photographer, you had used the Sky HDR camera app quite a bit when it came out and that caught the attention of some of the people at Sony. How did that happen? Mahesh Thapa: Yes. I’d used the Sky HDR app and I talked about it on Instagram and other social media outlets and Sony saw that and contacted me to get some feedback about how they could improve it. My biggest suggestion was to give it the ability to be a reverse grad ND filter, because often times that's the filter I use. If the sun is higher up in the sky, then it makes perfect sense to use a conventional grad ND filter. But, oftentimes when we shoot these scenes, the sun is right at the horizon. So, the horizon is the brightest part, and that's where you want your darkest portion of the filter, which a regular grad ND filter just doesn't do. In a reverse graduated ND, the darkest part of the filter is at the horizon. It’s a little less dark in the sky above it, and clear below it. So, we're putting the darkest portion of the filter exactly where it's the brightest part of the scene. So, I suggested that, this would be a great app if, somehow, we could combine three exposures: one for the very top of the sky, one for where the sun is lower in the horizon, and another one for the foreground. When they came out with the Digital Filter app I said, "Ah, that's exactly what I was looking for!" And, what's even better is that, with a conventional filter, you get a single image. With the Digital Filter app, you get three separate images. If you don't quite like the effect of what the app created, you still have those three raw images. The effect isn’t baked in. And, because the final image is also a raw, you can go ahead and further manipulate that to your heart's content. Having the raw files is a huge benefit. 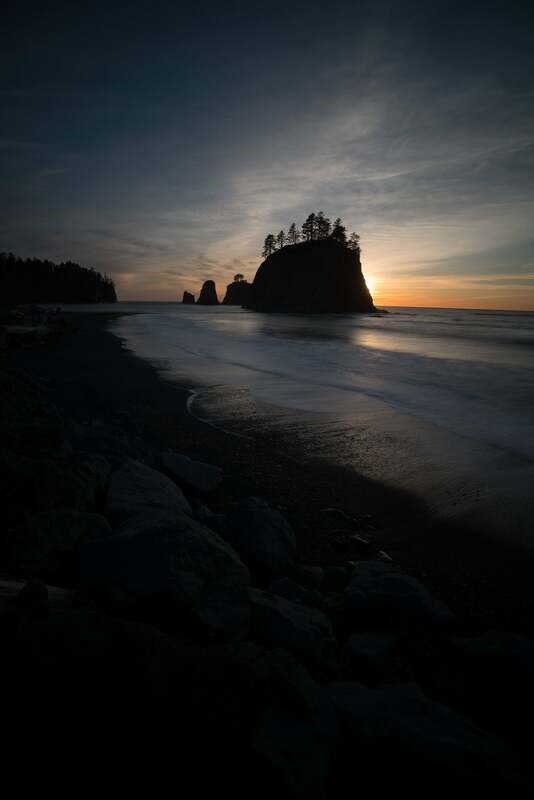 Rialto Beach, Olympic National Park. Sony α7R II, Sony 16-35mm f/4 lens. Final image created in-camera from three exposures using PlayMemories Digital Filter camera app. Alpha Universe: Let’s go through this image you shot at the coast. 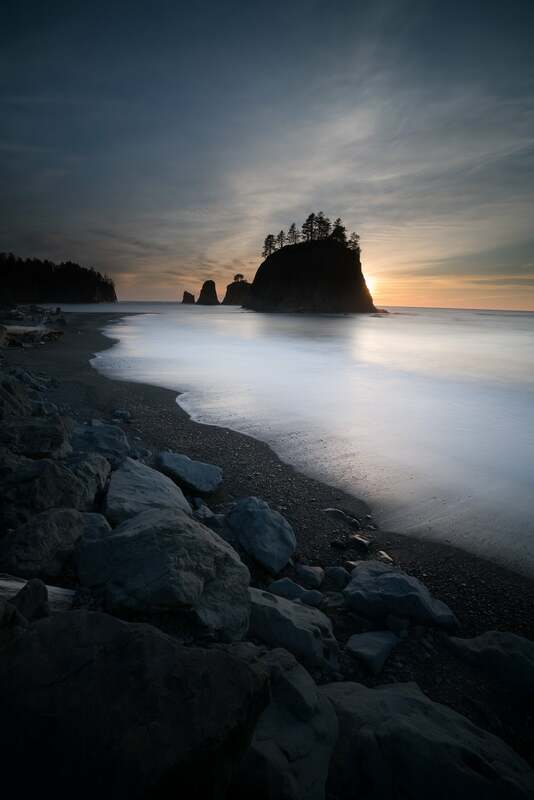 Mahesh Thapa: This was taken at Rialto Beach, at Olympic National Park. It was near sunset. If I had just shot this conventionally, I'd have to either expose for the sky, or expose for the foreground. If I exposed for the sky, the foreground would have been completely dark. And there was enough of a difference in dynamic range between the sky and the foreground, that the shadow detail wouldn’t have been easily recoverable with a single shot. Using the Digital Filter app I made the brightest part of the scene, right around the horizon where the sun was just behind the haystacks, the lowest total exposure value. I wanted a lot of detail in the foreground where the whitewater was coming across and hitting the beach so I set the highest exposure value for the foreground. I also wanted to subdue some of the brighter areas higher in the sky, but not to the same extent as the area at the horizon. Above top to bottom: The sequence was: the darkest part was low in the sky, the brightest part was in the foreground, and the slightly darker, but not as dark as the horizon, was in the upper sky. I adjusted the filter so that I had a nice smooth transition from the sky, to the horizon, to the foreground and I let the camera do the rest. Sony α7R II, Sony 16-35mm f/4 lens. Photos shot with PlayMemories Digital Filter camera app. Alpha Universe: So instead of shooting multiple exposures yourself and then going to Photoshop later and working to combine them—a technique that landscape photographers have used for years—with Digital Filter, you’re getting it in camera and you’re getting it with very fine control as you’re shooting. Mahesh Thapa: Right. And as I mentioned, another great thing, is once this final image is created by the camera, it’s a raw file. So, if I say to myself, "You know what? This is great, but I want to tweak it a little bit more? Maybe I want to get a little bit more detail out, in the very bottom of the driftwood. Or maybe a little bit more brightness in the right hand side of the sky, I can do that with no penalty." Alpha Universe: With so much control in the app, did you find it difficult to use? Mahesh Thapa: There’s a little bit of a learning curve just because there are several settings. I recommend that you try it out and practice before you actually go and use it where you need it to be perfect. You choose the settings for the horizon, for the top, and for the bottom separately, and there's different parameters you can set for each one. For example, you can set white balance and you can set ISO to get the perfect blend of what you're looking for. Typically, I use it more in terms of just exposure bias. So, if my 0 value is the horizon, if I'm exposed for that, above the sky it's going to be maybe a little brighter, maybe a +1 exposure value brighter. And, for the foreground, it's going to be a +3 exposure value brighter. I keep the ISO and the aperture exactly the same, so the only thing changing, really, is the shutter speed to compensate for the exposure. The app gives you the ability to change white balance, but I usually don't. I can go ahead and work with that in the raw files later on if necessary. I try to keep it simple as I’m shooting.